What: Come join us for our final party at Fairytale Farm! 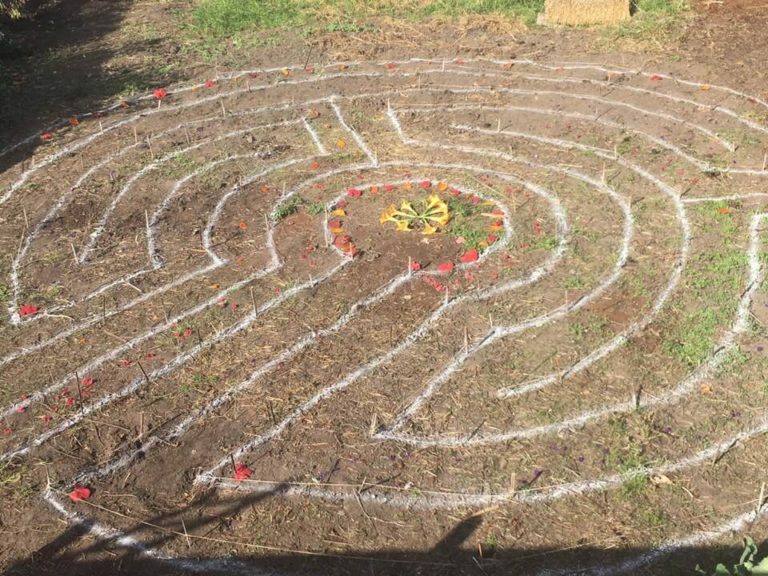 We have created a giant labyrinth to celebrate the ending of this beautiful farm, and new beginnings. We invite the public to come and walk the labyrinth, and also join us for a potluck from 5 to 8 pm, then stay for music, fun, and dancing! We will light up the labyrinth at night, and children are welcome. We will have 2018 Planting calendars, Recipe books, and garden goods for sale. We’re giving away free seeds! Come join us for our last gathering in this location. Invite your friends!